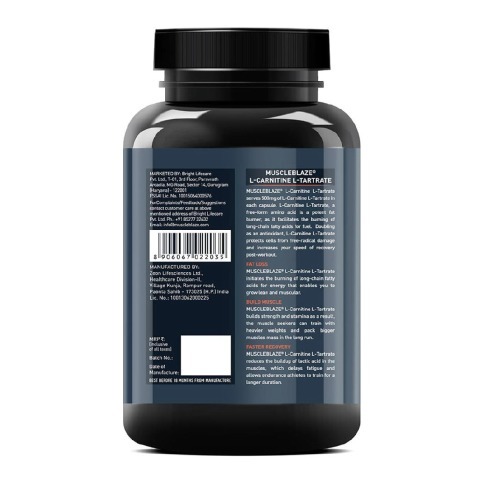 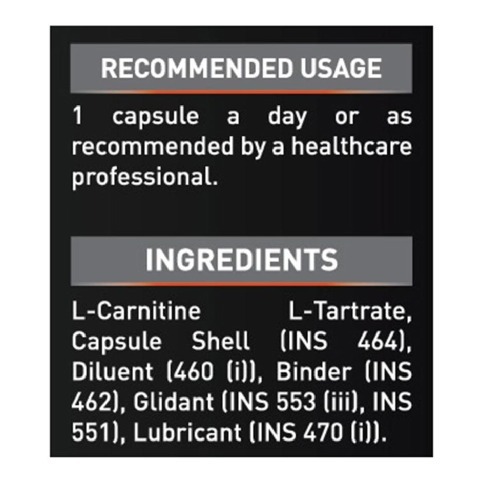 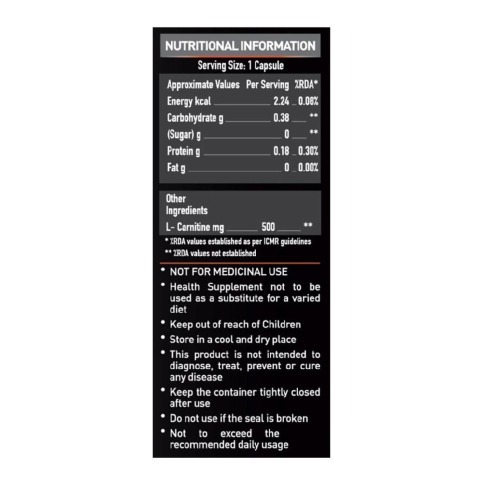 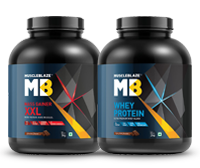 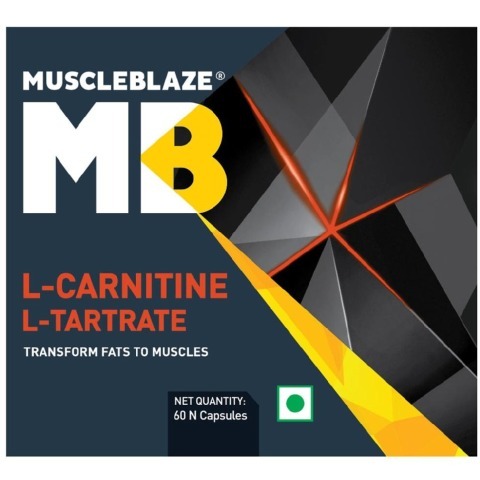 MuscleBlaze L-Carnitine L-Tartrate serves 500mg of free-form amino acid, L-Carnitine L-Tartrate in each capsule. 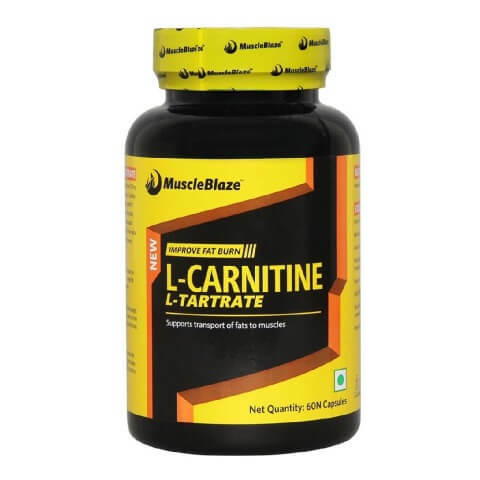 L-Carnitine L-Tartrate facilitates the burning of long chain fatty acids for fuel. 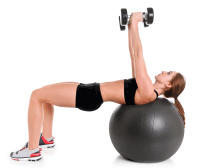 This improves the rate of fat burn. 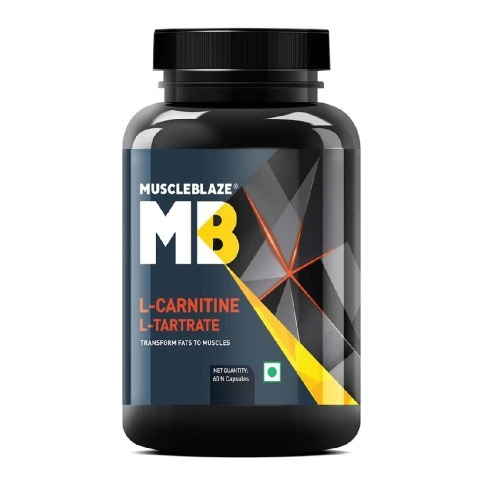 L-Carnitine L-Tartrate doubles as an antioxidant and it protects the cells from free radical damage. 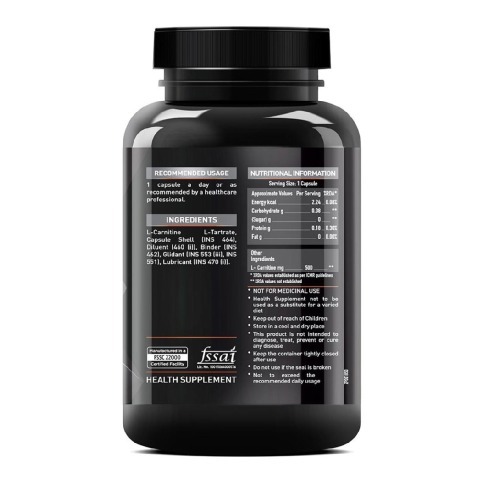 It also improves the speed of recovery post workout.